Removed some typo’s and errors added some new I am sure. Added some things to tips. 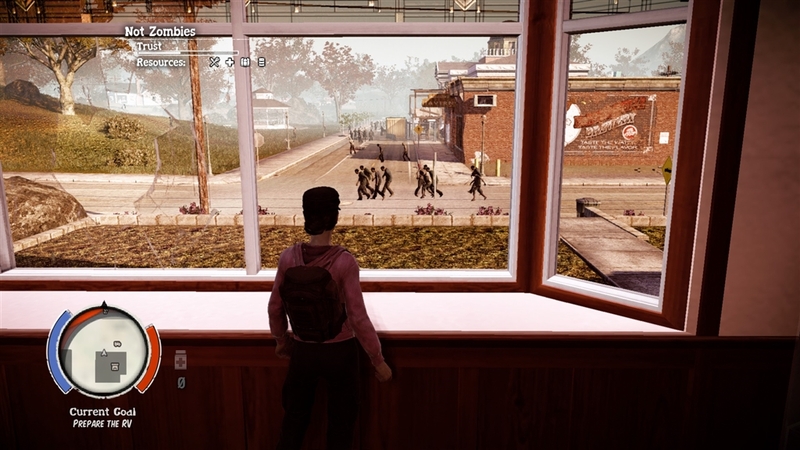 Hey, welcome to my post about Breakdown, the downloadable content for the video game: State of Decay. In this post I will experiment with fragmentary story telling. And who better then to have that taken care by my nekos! First off it might be handy to give a general idea of what the post will contain. 1 Three differences as compared to the basic game. 2 Ten tips that might be useful to remember. But first let me introduce Krisp. She is in the picture at the top..Krisp is a neko. For those who do not know exactly what a neko is let me tell you.. neither do it. Literally Neko is Japanese for cat and in a certain context it is used for a hybrid of a human with cat. A human with cat features so to say.. like ears, or whiskers or a tail. However, being completely inaccurate as someone pointed out, a Neko is sometimes used me to mean any human animal hybrid. So Krisp is a neko because Krisp has cat teeth, cat claws, cat shoes(sometimes) and a nice fluffy tail. This picture shows the new things that make breakdown different from original game: heroes, levels and new goal(s). While in the basic game survivors were also important, in Breakdown they are even more the focus of the game. When you begin the game you choose a random hero(the first time), start the game and run! For you are alone. During the game you will be able to have more survivors join you and here in this there is a slight difference from the basic game. 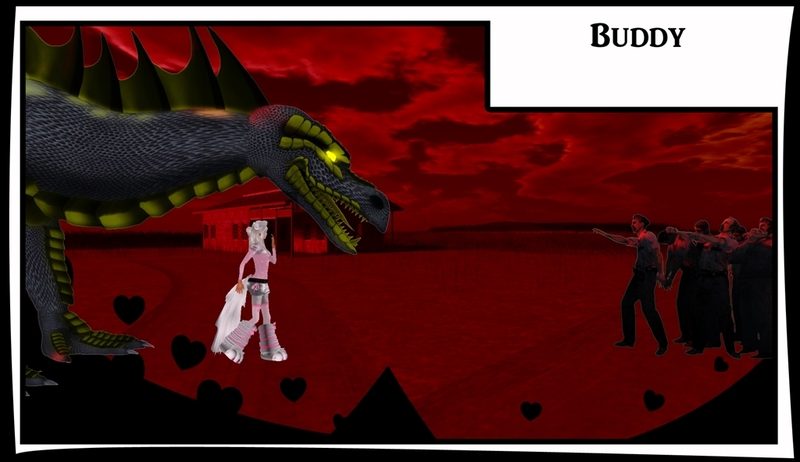 In the basic game most survivors came either via predefined quests or the occasional random quest. In Breakdown the most important source for companions are enclaves. You will find that you are now actually able to gain their trust and recruit them after a while. Secondly, Breakdown has levels. And I do not mean levels of the survivors, but levels of the game. Each level is slightly harder then the next. This is achieved by making the zombies slightly harder, spawn more, and spawn more special zombies, while at the same time, resources are harder to find and, especially, vehicles are harder to find. There are even levels where there are just a few vehicles to get. With each new level, you also start a new map. The only thing you will take with you from a previous game is a small group of survivors, their inventories and the supply. Thirdly Breakdown has no story line.. hence the goal of the game is a simple one: find the recreational vehicle, repair it and then go next level. Sounds boring? I thought so too.. but each and every level is slightly harder then the one before. And to make it more rewarding they threw in achievements, so that you have something to strife for. So now the ten tips with their explanation below. 3 Home, sweet home site. 5 Neighbors are your friends. 6 That vexing supply locker. 7 Take care of your cars. 10 Hand to hand.. choose your skills wisely. Maybe you are a very exceptional fighter, but even the best fighters will tire eventually and it is a though job surviving on your own at higher levels. 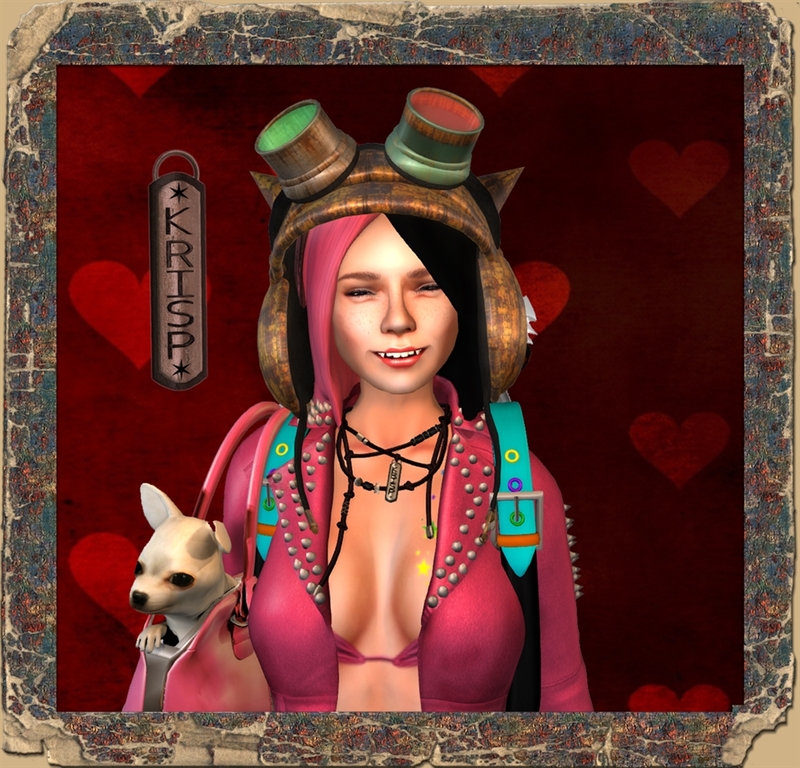 Searching items in houses might be tedious task is you are continuously interrupted by zombies. Your survivor will break off the search to confront the zombie and you have to start the search again after it is killed. So bring a buddy to watch your back. 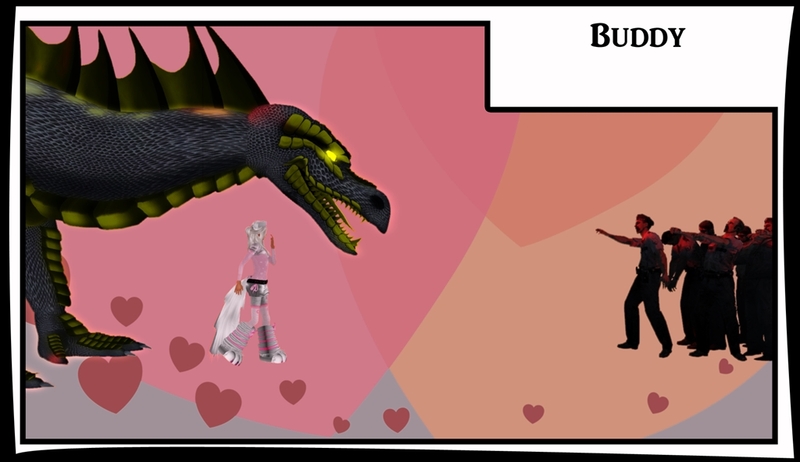 Buddies can be recruited in various ways. You can pay 100 influence to have on over your fellow survivors to tag alone. This has some disadvantages. It costs 100 influence and the survivor will leave the moment it is severely wounded, sick or you accept a quest(the latter not always: sometimes they leave and sometimes they don’t). Buddies can also be recruited as part of a quest. Most quests give you one buddy that stays until the quests is finished. The advantage is that it does not cost you influence and the survivor tags along even if severely hurt or sick. There are three disadvantages: the game does not save while your are on a quest, you can not move a home site and you can not change to another avatar as long as you are on a quest. Eventually you want to move to the next level. Readying the RV is a requirement. But first you have to find it! Unless you want to search the map for the RV you probably better of waiting for Lily to tell you where it is. She will do that within an hour of real time play. At the first level you only have to do one thing: fueling the RV.. but on higher levels there are more things needed. With each repair or preparation you need influence and materials. In all you will need 30 fuel, 30 materials and 10 medicine to prepare the RV on higher levels. Oh and some repairs require a lot of time and also some extra things that you are required to find. The RV can only hold a small amount of survivors. In total eight, but there are two catches:. One of them is that you have to take Lilya along(and Lily is not a playable character). And when you take the full compliment of seven survivors along , one of them will get lost on the higher levels( this is changed now: on higher levels it seems the max characters you can recruit is six but you do not lose one anymore.). Who gets lost seems to be a bit random although my experience is that it is often one last one’s you assign to go with the RV. And the one you play will not be killed. A word of advise. When you find the RV you do not need to get out of your car to have it added to your home site. Just driving along it is good enough. 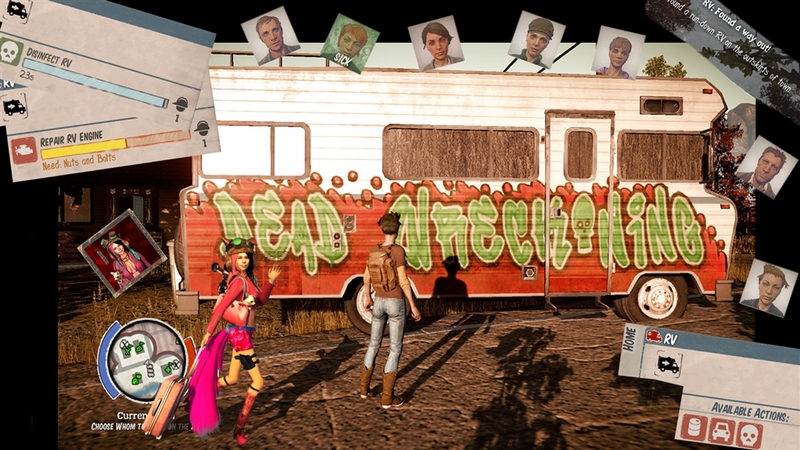 It is even advisable not to get out of a car as the RV seems to be a spawning point for zombies. Also be aware that when you are on a quest and you find the RV during this quest, it will not be added to the home site! And also, when you have a companion with you it will leave as if you accepted a quest. 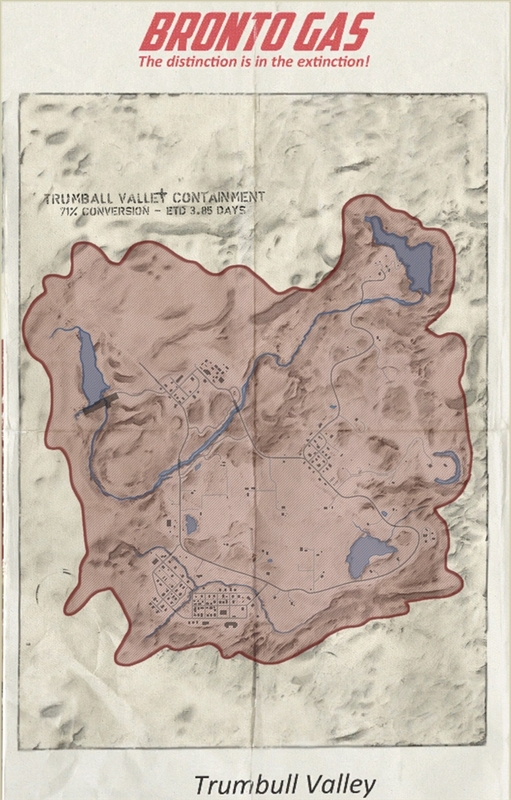 When you start on a new map, except for the first, you will be out in the open. So you have to find a home site sooner or later. Although there are seven home sites in the game, the choice is actually limited. The three biggest one’s(Fairgrounds, Trucking Warehouse and McReady) you can not get as you lack the materials and people to choose them. 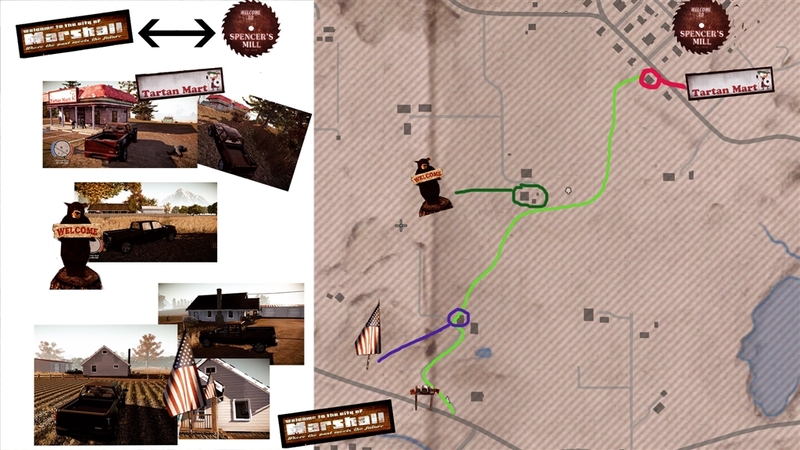 McReady Farm can only be picked from the start at the first levels, but once you start to loose a survivor you will not have enough people to claim it. The two smallest are not really an option as they are too vulnerable. Unless of course you like that sort of thing. It comes down to either hold out in the open till you have enough people (McReady only needs one more survivor to the basic seven) or to either occupy Savini or Kirkman. I prefer Savini as it is located in the town Marshall, where most supplies can be found, is protected from the rear and one side and comes with a watch tower. Also it requires only a few outposts to make it safe. Outpost have a lot of useful functions. It creates a zone where no zombies will spawn, it will destroy a horde of zombies, it gives you access to your home site inventory and it generates materials for it. If you occupy one of the bigger home sites, you usually can have one or two spare outposts that you can move around when you explore further out, thus having a place where to stock up, fall back to, or put items you found. In Breakdown neighbors are even more important. They are a source for new survivors, quests, a way to get rid of excess items and create a kind of safe zone. Especially handy will be their use to get rid of items that you can not or do not want to store in your own supply locker. In addition sometimes they even sell things you might have a shortage of, like bullets. You will soon start to notice something annoying about your supply locker: it is limited in the amount of items it can contain. Since the supply locker travels with you from level to level. 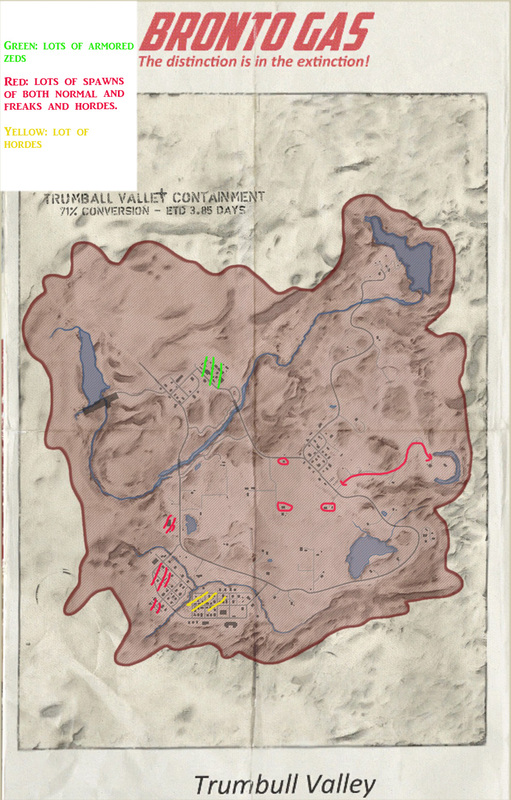 -that is from map to new map-, with it’s content intact, you will run into this problem again and again because you need to create influence by finding new items and storing them in the supply locker. This is where you neighbors come in. Their supply lockers are a way to get rid of excess items. However these supply lockers are limited as well so eventually they will be full too. Now all of this would not be such a problem if the game did not automatically add items to your locker every once in a while. So even if you take out the cheap or worthless items out of your supply locker, the game will generate new items, some of which are cheap and worthless items. The only way is by taking them out and replacing with more expensive items..
On top of this the game will also top off certain items contained in your supply locker. Bullets, for instance, will be topped off at sixty. The same goes for snacks. It seems the game limits snacks to six. So stocking up on bullets and such is only possible for a short while otherwise you have to remove any excess and store it in the inventories of your survivors. Unless you like to leg it through fields full of zombies you probably value your car simply because you move around a lot faster. Cars are vitally important and you will find less and less of them at higher levels. 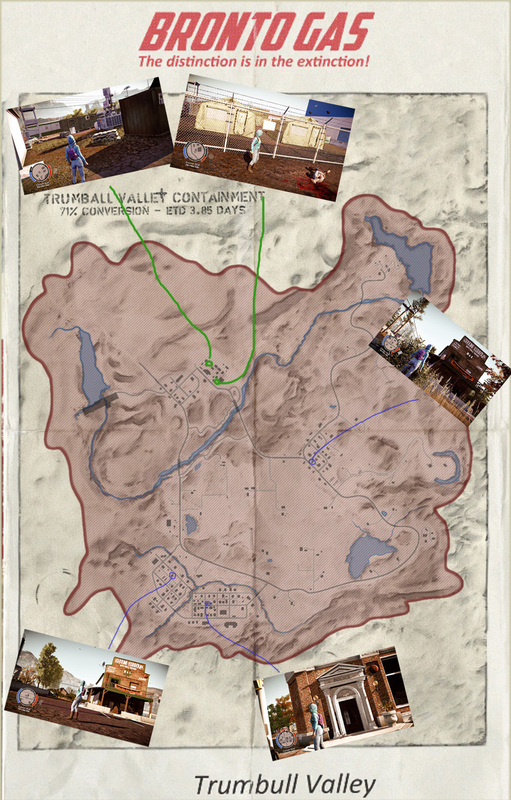 Since cars are also spread out over the map, retrieving the few ones that are on the map can be a tedious and dangerous task. But you have to. This means that you might consider building a workshop(at least a basic one) or moving to the trucking warehouse, which is has a full fledged workshop built-in. Most cars are located in and around Marshall and I found that Marshall always seems to have at least one car. I also found that when you do not have enough cars near your home site then the game sometimes gives you cars at your home site. How this exactly works is not known to me as it has only happened a few times. 14-01. When you move your home site the game will move the cars sometimes. I have moved my home site only twice during the games and in both cases the cars were moved the next day as well. Hence you do not need to get the cars you leave behind. However I think only the cars that are actually in the parking spots are moved. In addition the spawning of cars when you have none seems to spawn random new cars.. At first I thought it would a selection from the cars you drove past of occupied, but recently I tested this and non of the cars I actually drove past or sat into were moved. So they game seems to spawn new cars and not take the cars that are already in the game. Big cars, like the modern pickup, are handy for using a cross country shortcut between Marshall and Spencer’s Mill. This saves you a lot of driving over the road. This shortcut begins at the Tartan Mart that is located on the south-east side along the road leading to Marshall(see picture below). Gradually, when you go through the levels and discover it is getting harder and harder and resources decline, you start to appreciate the little things that did not really matter in the basic game. Here are a few. Gas-tanks are everywhere and they come in handy when a shed or another building is inhabited by a group of zombies. The blast kills everything except for the tougher freaks(Big Un and Feral) outright.. even through a wall. Watch out with cars though… they get destroyed too. The blast might attract nearby zombies, but not as much as firing a gun or an artillery barrage. Funny detail..they reappear when you move away. A nice weapon to have is a grenade launcher. They come in two versions: the one shot grenade launcher and six shot one. They both fire the same grenade. The great advantage of the grenade launcher is that you can actually fire a grenade inside a building. This makes them very handy for cleaning out infestations. Grenade launchers are rare finds. However the most likely place to find the six shot version is at the military camp in front of the fair grounds. 14-01: There are three stashes, one in the back near the fairgrounds and two near the entrance that is across the road where the crashed helicopter is. Of course the weapon of choice is the petrol bomb or Molotov cocktail. In state of decay there are a lot of them around and they are very effective too. You can wipe out a horde of zombies with one. Not only are there many to be found(some house have wine cabinets, that provide up to nine molotov cocktails) but also the game will generate them for you. 14-01: When you explore you will find fuel. Breaking down fuel will turn them into three of four Molotov cocktails. You will find a lot of handguns like revolvers and pistols in the game. Equipped with a silencer most hand-guns are decent weapons. It is wise to equip you adventurers with different caliber guns so you will not run out of bullets because as said above: the game tops of the bullets at 60. Revolvers and shotguns are weapons that can not be silenced and as a consequence they will attract zombies when fired. The exception seems to be the .22 caliber. which seems to attract less attention. .22 caliber gun are not very effective. I seldom use guns on ‘normal’ zombies but reserve them for the screamers and bloaters, but considering that the game tops off your bullets you might use up bullets if you have too much. To find the better types of guns or even military grade guns see the maps below. Most of the time you will fight the zombies with hand-weapons. During their use you will gain experience and once you gain a certain level you can choose a skill to enhance combat or be stealthy. Most of these skills do not seem to do too much, but my preference is to use bladed weapons and pick the skill that cuts of the legs of a zombie at random. The other option: decapitation offers up speed for a certain kill.. however in the higher levels you the delay usually results in a zombie grabbing you. 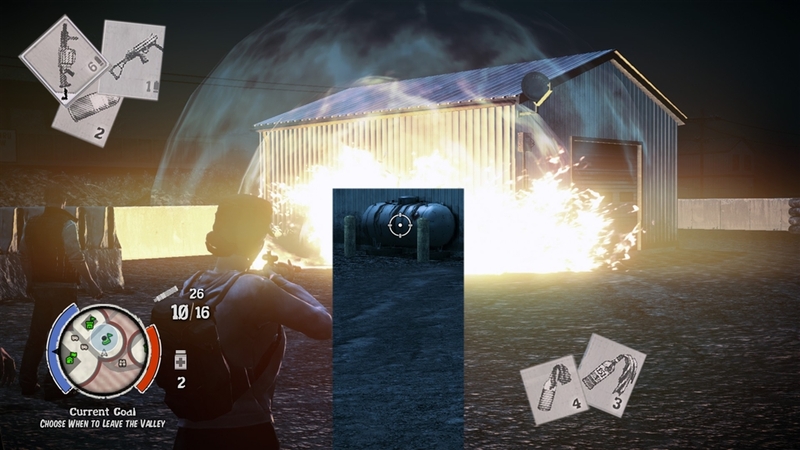 If possible pick survivors with the power house skill as it increases their critical hits. 11 (Hey wait.. that is not ten?) Flow of the game. Perhaps a final tip is to pay attention to the flow of the game. The game has moments that there are many zombies and hordes spawning and moments that there are non around. – At night there are more zombies around than during the day. – Around dusk, dawn and noon it seems there are far less zombies. – Zombies have a tendency to spawn after you have arrived at a certain place. Sometimes there is a delay in the spawning that you can use to quickly enter a place.. grab stuff and run before the game starts to spawn too much zombies. However this can also work to your disadvantage: sometimes a place seems to contain only a few zombies.. but a few minutes later more will spawn…a lot more.. An example of place where this is likely to happen is the Grange. 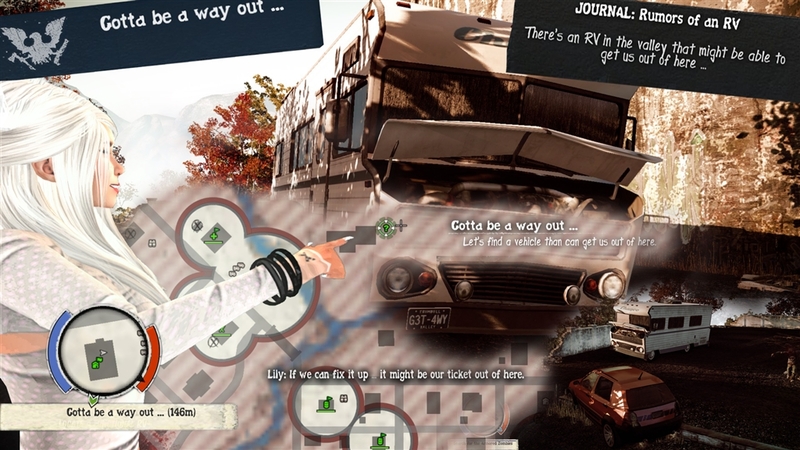 – When you are required to go to a place and it is crawling with freaks you can force the game to remove them by driving around a bit. When you are far enough away the game will remove spawns. However there will be new spawns.. so it might not solve your issue. Whenever you built a facility or repair a part of the RV there is a chance you have to find something to finish the job. Lily will tell you where to look on the map. I found that you are likely to find these items at any place you search. However it looks like that the places Lily designates have a higher chance to give you the object. But diligent searching at other places have almost always resulted in finding these objects. Another interesting thing I found is that when you are assigned to hunt a particular freak you are instructed to locate it at certain place. I found that finding and killing a freak of the kind you are assigned to hunt at other places sometimes is enough to resolve the quest. 14-01: This seems to be the case for bloaters and ferals. The armored zombie quest is usually for a swat zombie and that seems almost only to be spawned for the quest. I do not know for big uns as I try to avoid them. Be aware that with the hunt quest your companions will leave the moment the quest is resolved. This might mean that they leave you to face any remaining zombies. Sometimes they will help you fight, but as often as not they leave you to face the music alone. Now for some closing comments. 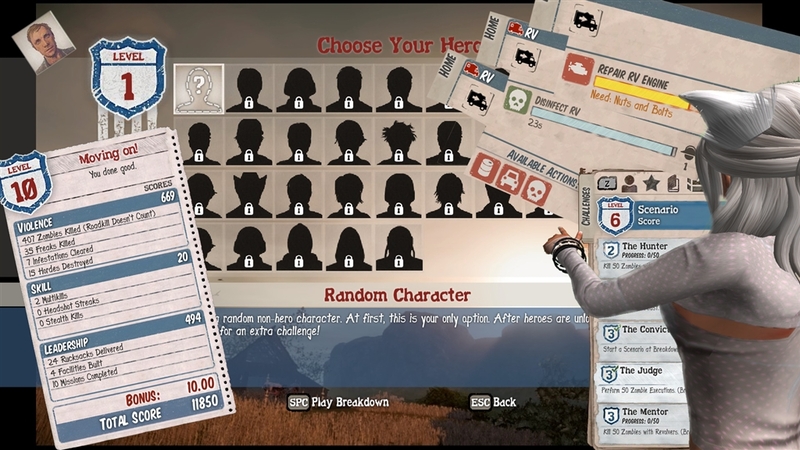 I like state of decay as it offers a combination of resource handling, character management, leveling and so on. The game does not compare to a big commercial game. This should also not be expected as the game is made with far less budget and market for about a third of what a main stream commercial game costs. All in all Undead Labs, the maker of the game did a decent job. Trumbull Valley.. best places to find guns. Guns shops and police station in blue. Military camp sites in green.